– Galen Rupp speaking about doing the 10,000/marathon double in Rio 2016 after dominating the Olympic Marathon Trials in his debut. 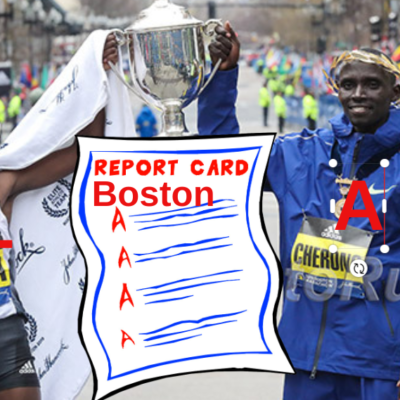 Is Rupp's performance the greatest ever by an American? 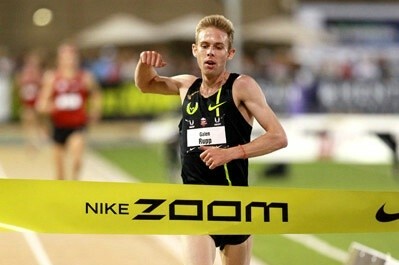 Alberto Salazar confirms that Galen Rupp did the most amazing workout ever - 20 miles at 4:52 pace, HR at 149-50!! 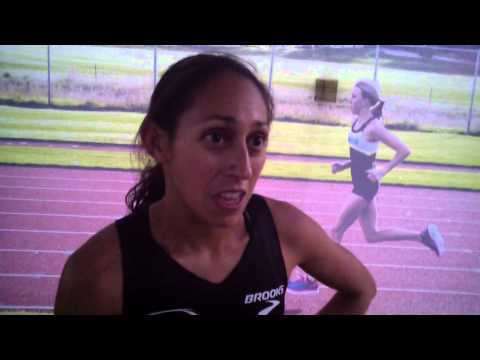 Kara Goucher unloads on Alberto Salazar, Galen Rupp and the NOP - "Justice is coming." Married Men: Do any of y'all get your wives more than a card and flowers on Valentines? MiLive.com: Dathan Ritzenhein “just In Shcok” After Dropping Out Of Olympic Marathon Trials He said the cramping began about the nine-mile mark in his left calf, moved to his right and then his hamstrings. Husky Classic: MB: Grant Fisher Runs 7:50.06 To Win Husky Classic 3K In A Close Finish He beat out Washington’s Izaic Yorks by .14-seconds. Allie Ostrander ran 8:54 to win the women’s race. Boise State’s David Elliott took the mile in 3:57.38 as the top-7 went sub-4 and Natalia Piliusina won the women’s (4:35.31). BU Valentine: Results Friday winners included GB’s Lynsey Sharp (800 – 2:00.30), Amanda Eccleson (mile – 4:26.88) as the top 4 broke 4:30, Christina Melian (5,000 – 15:48) and Jessica O’Connell running 8:56 to beat Ashley Higginson and Emma Bates. 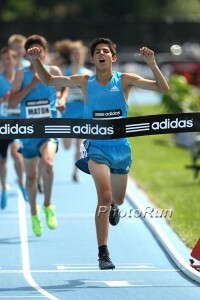 Saturay: Amed Bile (7:51), Joel Hubbard (3:58) and Drew Piazza (2:21.97 – 1000). 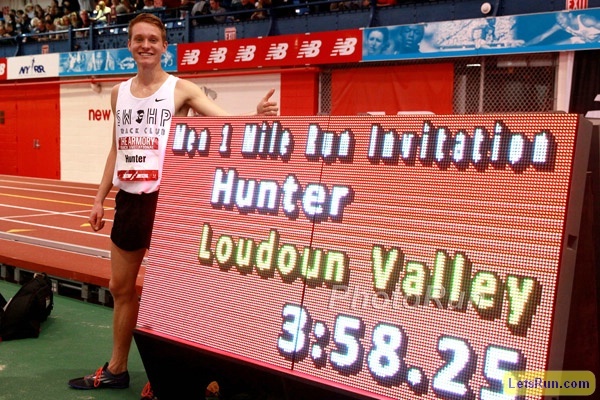 LRC Meet The Most Interesting Man In Running: Chris Zablocki’s Long Road To Los Angeles In his final high school race, he ran 11:07 for 3,200. As a college freshman, he was the worst guy on the team. But Chris Zablocki never gave up and on Saturday in LA, the Yuki Kawauchi of American distance running (13 marathons in 12 months) will be looking to take some serious scalps. LRC Luke Puskedra, Bobby Curtis, Matt Llano, Elkanah Kibet, Nick Arciniaga And Fernando Cabada Ready To Rumble Video interviews with some of the top men in LA. LRC Desi Linden, Annie Bersagel, Kellyn Taylor And Becky Wade Are Confident And Ready To Go In LA More video from Thursday’s press conference. 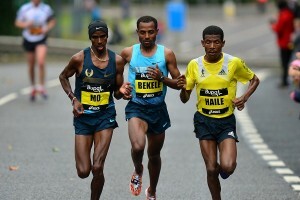 LRC 15 Minutes With Meb: “I’m just fortunate to be in the position that I’m in. Everyone else is trying to do what I have done.” Plus he pencils in Rupp for a spot on the team. 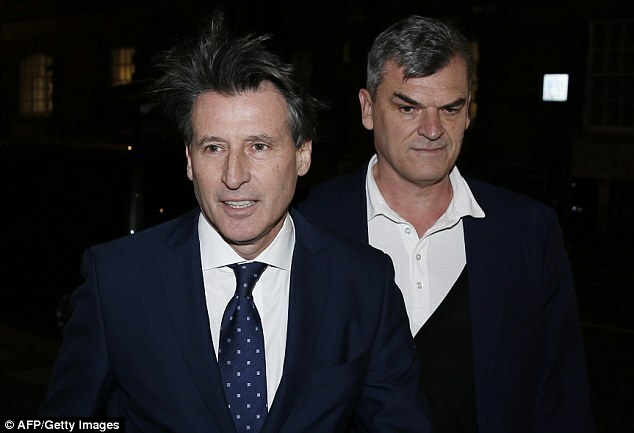 Daily Mail Reports That Seb Coe Received Illegal Help From Nick Davies During His Campaign For IAAF President Coe and his team don’t deny that Davies (then IAAF deputy general secretary) sent secret emails under a fake name to giving information to help Coe’s campaign. Nestle Ends IAAF Sponsorship Over Doping Scandal Nestle ended it’s sponsorship of IAAF global Kids Athletics program one year early. IAAF Publishes List Of Currently Suspended Russian Athletes 4,027 athletes who can’t compete internationally until Russia is reinstated to the IAAF. RR: Good Register-Guard Profile On Luke Puskedra, Who Talks About How Close He Was To Quitting The Sport A Year Ago Now Puskedra has his Nike contract back and is one of the favorites (outside the “big 3”) to make the team. RR: Meet 38-Year-Old Dawn Grunnagle, The Former Oregon Project Member Who Quit The Sport For 10 Years And Now Is In The OT She just made it in the half, getting in 4 seconds under the standard. 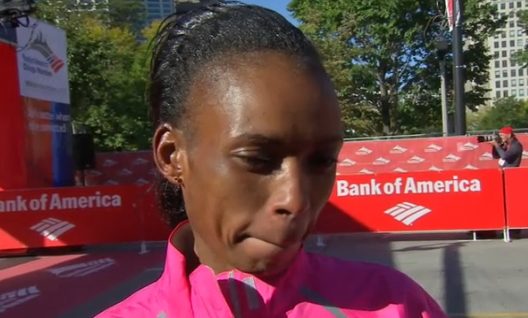 Toni Reavis Thinks The Heat Will Be A Big Factor In LA The heat could help an underdog like it did for Wesley Korir at Boston 2012. Reavis analyzes which athletes should do well in the heat and who may struggle. Kara Goucher’s Coach Heather Burroughs Says Goucher Is Ready After Logging Consistent 100- To 115-Mile Weeks Apparently it’s less volume than she did with Jerry Schumacher, but more than with Alberto Salazar. Jared Ward Pre-Trials Video And Interview Ward talks about winning US champs last year and shares his in-race fueling routine. 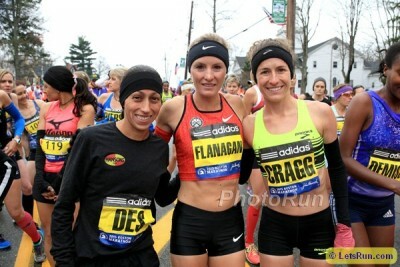 The Daily Relay Staff Makes Their Women’s OT Picks All picked Flanagan, none picked Goucher. Runners World Polls Panel Of Experts For Their Olympic Trials Top 10 Linden, Flanagan, Cragg; Rupp, Ritz and Meb. Is London 2017 In Trouble? Apparently They Quit Before They Were Forced Out After A Failed Power Battle With UKA Chairman Ed Warner They reportedly unsuccessfully attempted to overthrow Warner and assume control. The Guardian: The Depleted London 2017 Board Warns Of Risk To Delivery Of World Championships Some feel there is conflict of interest since UKA chairman Ed Warner is also chairman of the 2017 board and that has led to some sponsorship issues/delays. MB: Canadian Marathoner Reid Coolsaet Reveals That Kenyans (And Those Training In Kenya) Get Advanced Notice For Out-Of-Competition Drug Tests And Drive To A Separate Site To Take Them Add Athletics Kenya to the list with the NFL and NBA for organizations where drug testing is a joke. Cheating Is Everywhere: Lifetime Bans For Doped Racing Horses In Ireland We hope this ban extends to their “entourage” (owner, trainer, jockey) as well. Event-By-Event Top 10 NCAA Marks From The Weekend Not already mentioned on our home page include VA Tech’s Thomas Curtin (7:55.73), Penn State’s Isaiah Harris (1:47.31), Georgetown’s Sabrina Southerland (2:03.10), Michigan’s Shannon Osika (4:34.34). Florida And Texas A&M Stay 1-2 In Latest NCAA Men’s Rankings Texas dropped from 3rd to 5th. What will Drew Hunter do for his next trick? Defar, who surprisingly revealed she plans to run the 10,000 at the Olympics, will run the 3k on Sun., her first track race since Aug. '13. We caught up with Defar, Abbey D'Agostino and Brenda Martinez at the presser, plus non-distance stars Trayvon Bromell & Jenn Suhr. 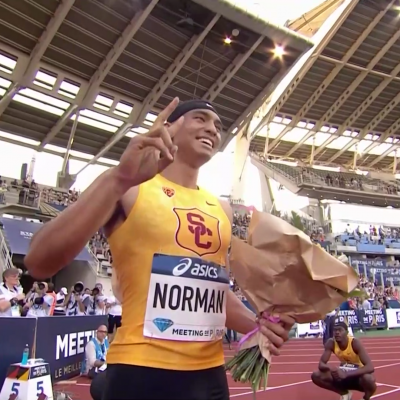 Also entered: Ethiopians Dejen Gebremeskel (3,000) and Dawit Seyaum (1,500) plus Nick Willis (mile), Duane Solomon (1k) Andrew Wheating (1k) and Boris Berian (800). 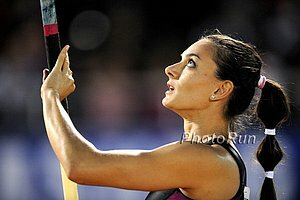 *MB: Don't forget the New Balance Indoor Grand Prix is Sunday - 4-6 pm ET on NBC Sports - Official Discussion Thread. OC Register: “Galen Rupp’s Decision To Run His First Marathon At US Trials Raises Eybrows” Quotes from Rupp, Toni Reavis and Craig Virgin including NOP doping allegation talk. Meet Arya Bahreini, The Youngest OT Qualifier Bahreini is a 22-year-old senior at Oklahoma City University and qualified with a 64:26 half. Kenya Placed On Probation By WADA After Missing Anti-Doping Deadline Kenya had been given until Thursday to provide WADA with details/assurances about formation of it’s own anti-doping agency, but failed to do so. Adidas Offers $1 Million To Any NFL Draft Prospect Who Breaks The 40-Yard Dash Record At The 2016 NFL Combine Catch is you have to do it in adidas cleats. The current record is held by Arizona Cardinals RB Chris Johnson, who ran 4.24-seconds in 2008. USATF Q&A With Aries Merritt Merritt walks us through the highs and lows from 2012 Olympic champ/WR setter, to his kidney disease and surgery to his comeback now. Texas 400 Runner Courtney Okolo And NC State LJer Jonathan Addison Are NCAA Athletes Of The Week Okolo ran a 51.16 world leader while Addison jumped 8.17m to tie the US lead. IAAF First Impressions Q&A With GB’s European 100H Champ Tiffany Porter Her first races were beating the boys on the streets of her apartment complex as a 6-year-old. Two Kenyan Sprinters Caught Doping At 2015 Worlds Accuse AK Official Of Bribery Joy Sakari and Francisca Koki Manunga say say chief executive Isaac Mwangi asked them each for a $24,000 bribe to reduce their 4-year bans. Three Arrested In Kenya For Falsely Posing As WADA Officials These con men told athletes they needed to pay them $5,000 in exchange for not testing positive. Kenyan Officials Say They Are Not Boycotting Rio Games Over Zika Virus They say Kip Keino‘s quotes may have been taken out of context. 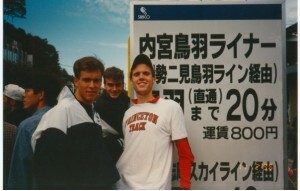 Steve Magness Shares Some Training Advice: “A Case For Running By Feel – Ditching Your GPS Because Of Ecological Psychology” Running “by feel” is something LRC’s Rojo (from mentor JK) constantly preached to athletes while coaching at Cornell and is largely what Wejo credits his huge post-collegiate improvements. Recently Engaged? Want To Watch The Olympic Trials? Run The LA Marathon Apparently in honor of Valentines Day, LA is offering couples running or spectating the chance to get married or renew their vows on the course. 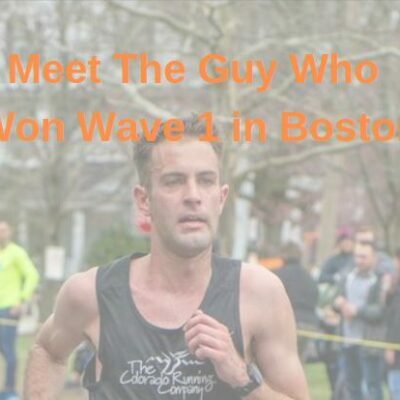 2:22 Marathoning Dad And His 11-Month-Old Daughter Smash Stroller Half Marathon WR Calum Neff ran 71:27, breaking the old mark by more than 2 minutes. 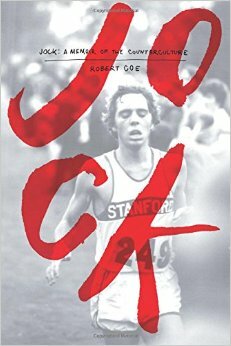 What was it like to be a Stanford runner from 1968 to 1972, during the height of the counterculture? Coe tells you and and nothing is off limits. Coe's stories range from racing Gerry Lindgren and Steve Prefontaine in the legendary 1969 PAC-8 XC Champs to smoking weed with the Stanford football team and Olympic swimmers at his fraternity house. Though his running career was ultimately not successful, this book certainly is. It's getting great reviews on amazon and we agree, giving it 4.5 out of 5 stars. Purchase here. Nick Willis Wins The Street Mile In 4:15 Over Aussies Ryan Gregson (4:17) And Brett Robinson (4:19) Genevieve LaCaze won the women’s race in 4:35. Jacko Gill Breaks Tom Walsh’s Resident Shot Put Record With 20.83m That’s the best throw ever by a New Zealander in New Zealand. Move over, Alan Webb. 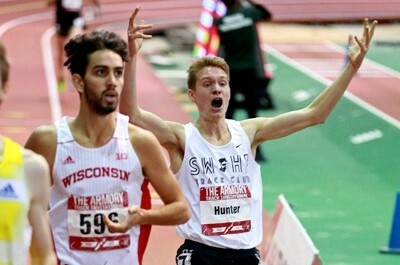 Drew Hunter is the fastest indoor high school miler in the US ever. In other action, Marielle Hall blasted the final lap to win the 3k over Sheila Reid in 8:54 as Jordan Hasay and Nicole Tully in 6th and 7th didn’t break 9:00, Ajee Wilson won the 800 in a close 2:02.15 over Laura Roesler and Lynsey Sharp, and Robby Andrews won the 800 in 1:48.43. Gabriela Stafford won the women’s mile in 4:29.07, beating out NJ-NY’s Erin Donohue (4:29.67). 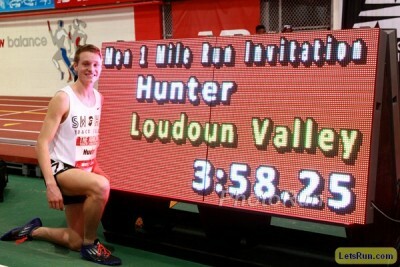 Alan Webb Gives His Thoughts On Drew Hunter’s Quest In Washington Post Good read. 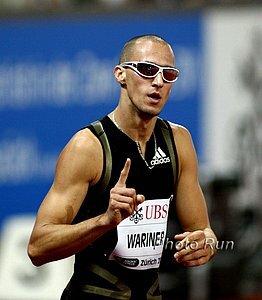 Jamaican 4 X 200 Sets A NR Jamaica also had a distance win from Kemoy Campbell in the 3,000 (7:55). MB: Andrew MF Hunter!!!! 3:58.25!! 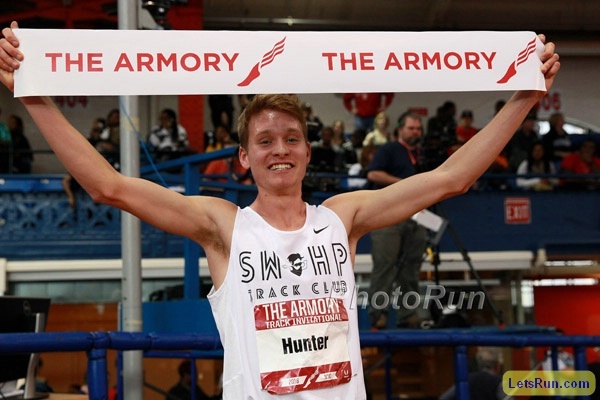 MB: How many other people think Hunter should consider going pro in June and stick with Tinman? 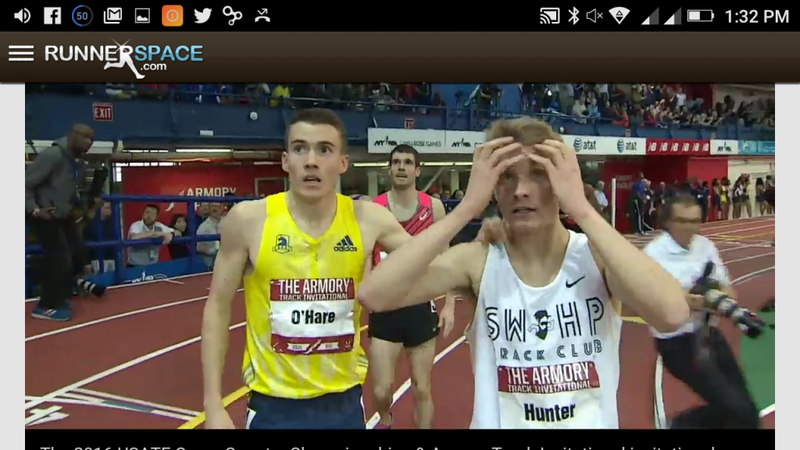 MB: Does Hunter deserve to be in the A-heat Wanamaker after today’s performance? Geoffrey Kamworor Wins In Battle With Bedan Karoki At Kenyan XC Championships Alice Aprot (sister of 2010 World XC champ Joseph Ebuya) won the women’s race as favorite Faith Kipyegon finished way back running through illness. IAAF Indoor Weekend Round-Up: Poland’s Adam Kszcozot Wins 800 In 1:46.18 Over Timothy Kitum (1:46.72) And Mohammed Aman (1:47.24) Women’s 1500 and 800 world leads went to Renata Plis (4:07.38) and Joanna Jozwik (2:00.12). Elsewhere, Asafa Powell set a 60m PR and world lead with 6.49 in Houston. Florence Kiplagat Gets Third Consecutive Barcelona Half-Marathon Win Her time of 69:19 was well off the 65:09 WR she set here last year. Vincent Kipruto won the men’s race in 62:54. 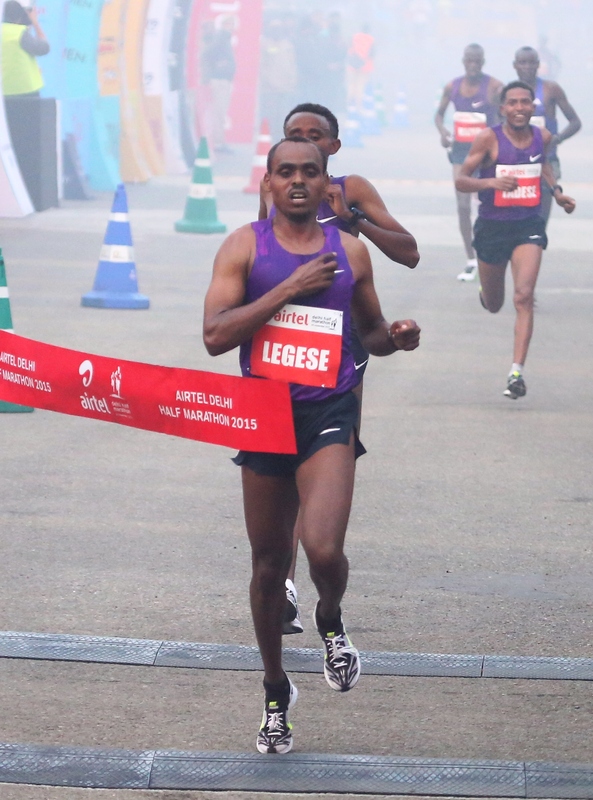 Birhanu Legese Wins RAK Half Marathon In 60:40 After A Thrilling 7-Man Battle Over The Final Kilometer The top 4 men all finished within 1 second of each other as Legese beat a field that included Stanley Biwott (2nd), Leonard Komon (10th) and Wilson Kipsang (11th). 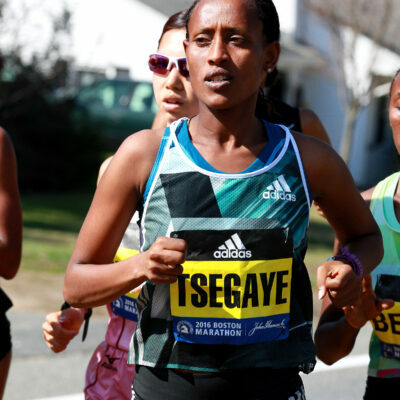 For the women, Cynthia Limo moved to third on the all-time list with 66:04 as a record 6 women went under 67 minutes with Gladys Cherono 2nd (66:07). The New Yorker: “From Drug Dealer To Long-Distance Record-Setter: Kevin Castille’s Redemption” The 43-year-old Castille thinks he’s capable of running 2:15. USA Today: Army Soldier Elkanah Kibet Follows Unique Path To OT Marathon Kibet broke out with a 2:11:31 at Chicago while working as a full-time soldier. 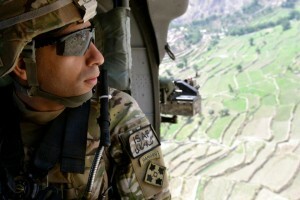 Now he’s in the Army’s World Class Athlete Program, so watch out. LRC WTW: Time To Panic For Mary Cain? 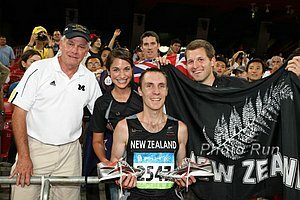 Doping In The Super Bowl, No Medal No Problem, Kenyan Rap Videos, Clayton Murphy Breaks 4 (By A Lot), Meet Randall Cunningham’s Daughter, And A US Marathoner Saves A Life What a week. So much to break down, including two amazing teen performances and one bad one. All of that and more, including our Performance of the Year by Adriana Nelson. LRC Olympic Trials Week Is Here!!! 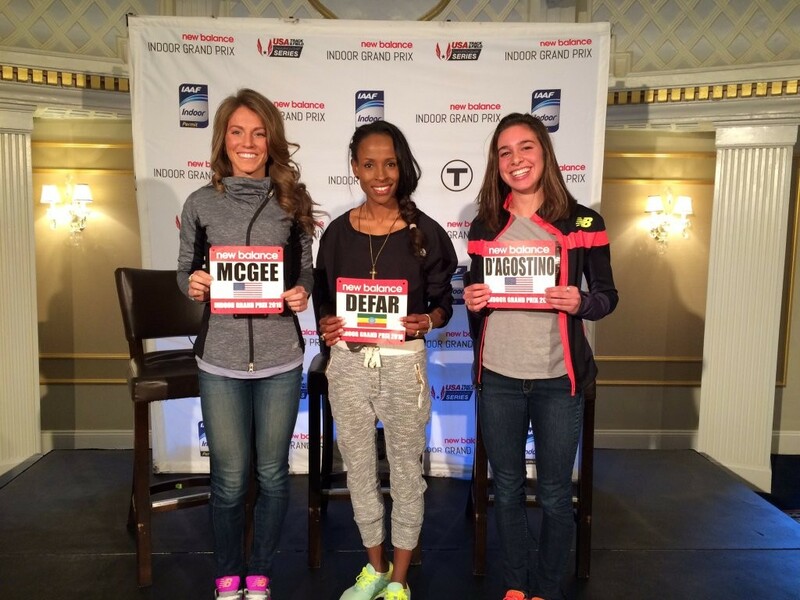 LetsRun.com Debates The Women’s Race Last week, LRC debated whether Galen Rupp was the favorite in the men’s race. Now we turn our attention to the women’s side. Who’s the favorite? Who gets top 3? Forecast Calling For Temperatures In The High 70s During The Olympic Marathon Trials A lot of pros have been doing the last few weeks of their training in warm locations to prepare. +1: ROLL Recovery Offering To Pay Athlete Entry Fees For The Marathon Trials Yes, you read that right. USATF charges athletes a $30 entry fee to enter the Trials. Matt Centrowitz Says He Needs To “Tone Down” His Performances / Celebrations So He Doesn’t Motivate Nick Willis Willis sent Centro a tweet after one of his recent races saying it fired him up and motivated him to get in his second run of the day. 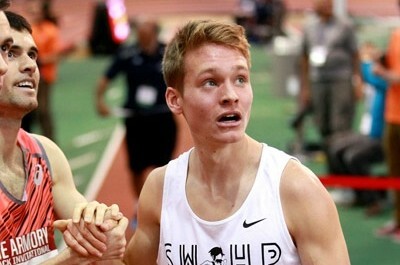 Akron’s Clayton Murphy Joins Sub-4:00 Club With Big 3:57 PR Murphy is the 2015 USAs 800m 4th placer who went to Beijing last year when Nick Symmonds withdrew. MB: Did you know Kylo Ren can run a 4:35 mile? The 2016 US Marathon Trials Are This Weekend – Who Is The Favorite? 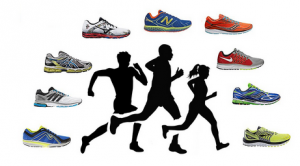 LRC LetsRun.com Debates: Is Galen Rupp The Favorite For The 2016 US Olympic Marathon Trials? Who’s Most Likely To Make The Team? 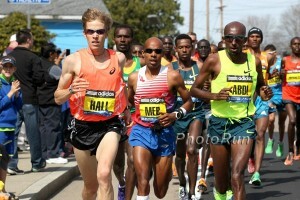 Is Galen Rupp the favorite at the Trials in his debut marathon? We debate that as we start breaking down the Trials.